The number one most popular image I’ve posted of all time, was this picture of the whimsical playground on top of the Farmers’ department store, which was next to the cafeteria to keep the kids occupied. It was shared around Facebook dozens of times. 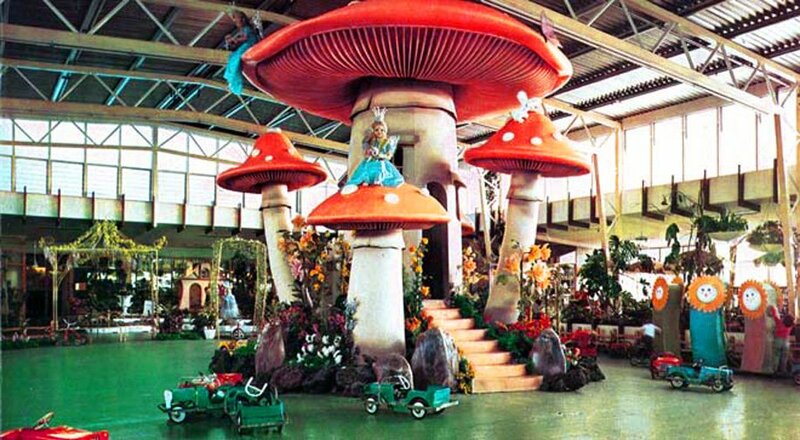 The recall of playing on the pedal cars and trikes – as well as who took ownership of the toadstool -really struck a cord with everyone. One day not so long ago, I decided to look at the stats on my History Always Repeats page, and, out of curiosity – find out the impact what I’ve posted has had on my readership. Certainly with this blog, I was really surprised to find that it wasn’t the short, snappy and visual bites people were reading the most – but the longest posts. Which I actually thought people would have less time and patience for…not at all, it seems. The nature of Facebook is different; it’s pretty much throwaway in comparison. You post, mostly pictures in my case, add a few lines of text maybe, the reaction is pretty much immediate. It starts moving down the feed where it quickly disappears, basically to be forgotten. Stats on pictures aren’t provided by Facebook -so I had to manually trawl through every single image (which is over 1500 pictures) and rank them in order of “likes” to each image from page members. I’ve long criticised the unofficial list of Kiwiana icons, and I wrote an article on this topic for “In Search of the Vernacular” which was published last July in New Zealand by The Cultural Mapping Project. I have my own ideas about what is wrong and right in this respect, but even I don’t really know what is “popular” per se. Really, the only way to really tell is to give over to the public and see what they have to say with their votes – that’s you, my readers and page members. OK, so have you got your own mental picture of what you think are the most popular items that Kiwi Boomers, X and Y reminisce on? Is it full of Fred Dagg, ice cream cones, Pohutukawas, gumboots, kiwis, pavs and tikis? Well – wrong, wrong, and WRONG (for the most part). So, below are the top fifty most popular images based on what I have posted since October 2012. The results were actually quite surprising. What was more surprising is what didn’t make it in. Where was Wattie’s, Cookie Bear, and Spaceman drinks? Didn’t score much with the punters, it seems. 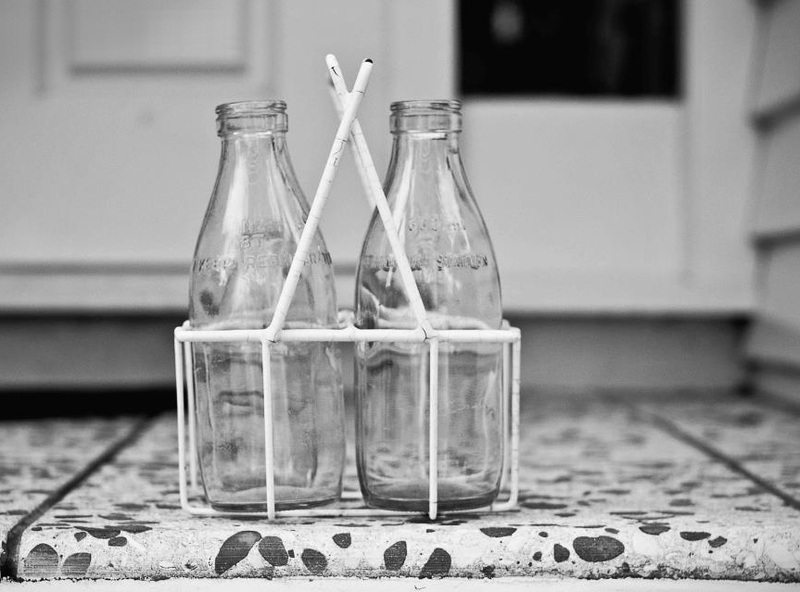 Forget beer, Beehive matches and those squeezy sauce bottles shaped like tomatoes. Not even close! Lamingtons? Forget it. It’s quite interesting to see what really butters people’s proverbial scones when it comes to Kiwi nostalgia – and it’s certainly not the typical list of Buzzy Bees, kiwifruits, Tip-Tops and flip flops! What does this selection tell us? 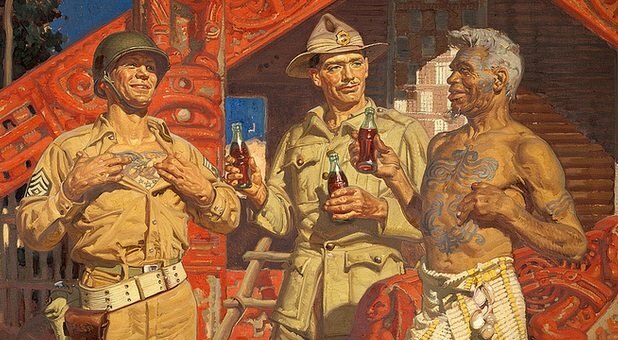 It certainly indicates the way we view ourselves and culture and how very different it is from what we are fed about our own popular “image” as Kiwis. I suppose a major factor in image ranking is that in the first few months I had an incredibly low level of members – I started with around 30 on the first day, and nothing happened for months. And people don’t often go back and check through old stuff. It wasn’t until I posted the picture of the cafeteria playground at the flagship Farmers’ Store in Hobson Street, Auckland (ranked number one over all) that it started blowing up as the image went viral. Within a very short time I had suddenly reached 700 members. Certainly I come from the point of view of an ex-designer and there’s always going to be a focus on the visually appealing in my edit – and thus what ends up in my final selection. To me it was interesting, that what people preferenced did generally have aesthetic appeal – but they weren’t really what I would have hand-picked as the most eye-popping items. 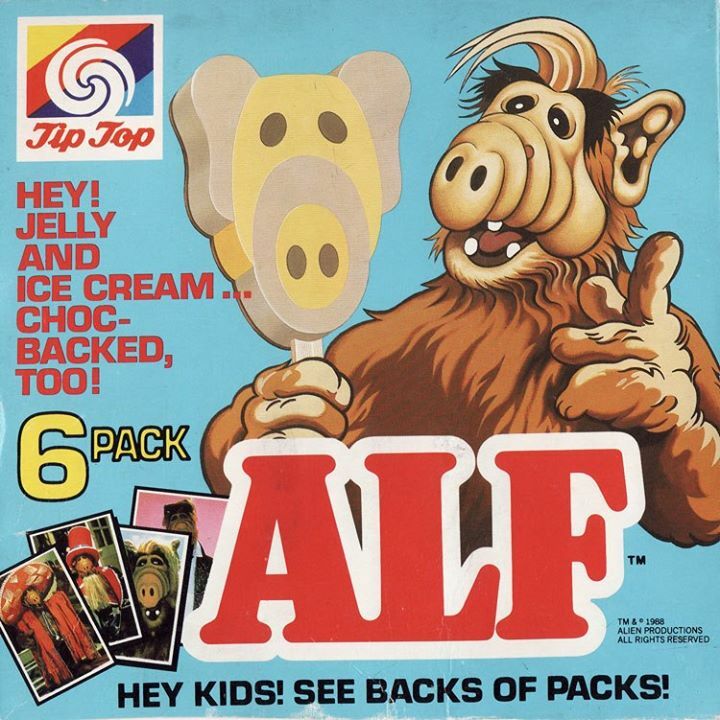 In some ways it’s a bit of a motley selection (I mean, the Alf novelty ice cream? Really, people? Really). I never know what people want to read or look at and try not to care too much about it, but maybe even if it’s subconsciously – I am starting to get a better idea of what content is desired and it’s not all about what I personally think or prefer. Should I change anything about the way I go about things? Probably not, otherwise it would just end up being the same as what everyone else is doing. It seems clear the image we’ve had forced upon us is a rather false assumption – and the genre is far more subjective with a focus on childish comforts. So is it just a “popularity contest” after all? I have to say I disagree, announced while snugly wrapped in a cosy wool blanket, with a sweet bun, and a hot cup of Bournvita in a nightcap novelty mug. 2. Second most popular on the list is the classic Helen Bannerman children’s book about the tigers that turn into butter and are used to fry pancakes. 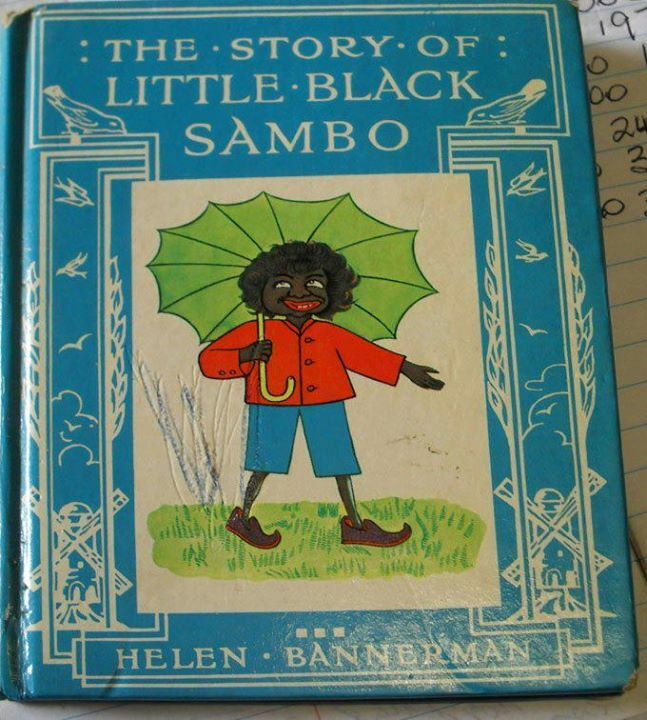 This book is still in print and back on the market today, but apparently went through a period where it was banned. 3. Any time I post a picture of the Ready To Read series from The Ministry of Education, including The Hungry Lambs (not pictured), it gets a very warm reception. Collection of Waterview School. Image © Carla Martell and courtesy of the Waterview Heritage Project. 4. I remember this being around in the 1970s, and certainly was heavily advertised on television. But clearly at number four, much more popular than I recall. 5. Now I knew this would be a hit. Who doesn’t remember and love broken biscuits? They hold fond memories for many, for various reasons. I remember cardboard boxes with plastic bags full of broken iced animals at the end of the aisles at Gubay’s, and also going with my grandmother and her fellow staff to the Hudson’s factory in Rosebank as a toddler to get tins of chocolate cookie and confectionery seconds. 6. 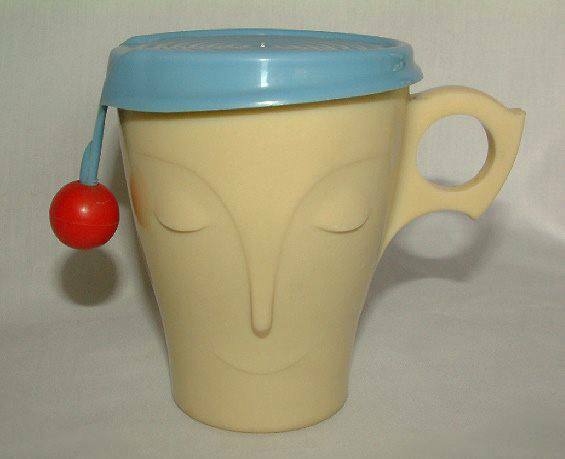 Cadbury’s issued this novelty promo “Nightcap” mug for Bournvita in 1957. It’s not something I’m really familiar with – but apparently a lot of Baby Boomers are as it caused a bit of excitement to see it again. It was still featured on the Bournvita boxes well into 1967 so they must have kept making them for that long. 7. 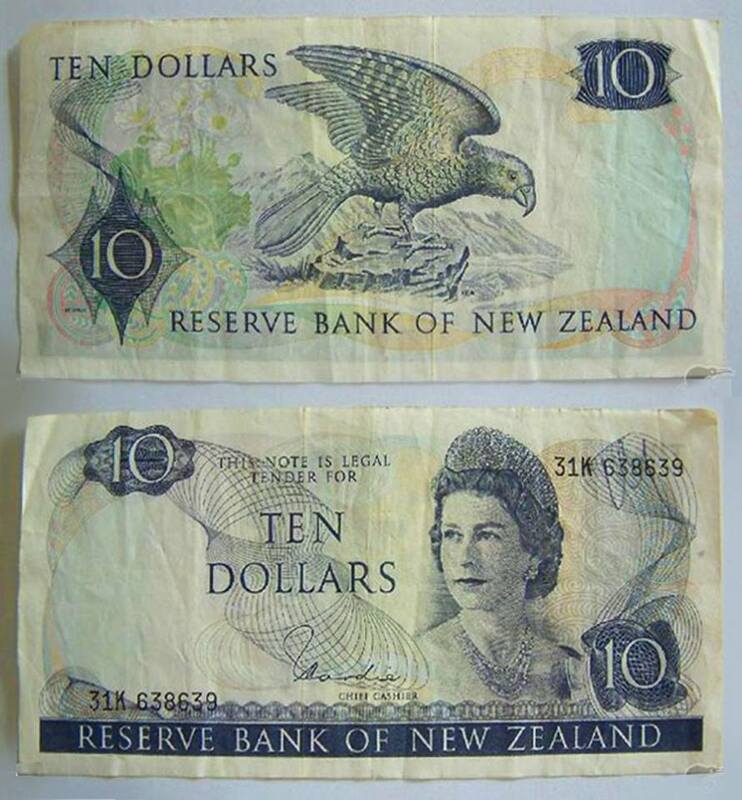 Something seen by everyone just about every day for years – the Hardie banknote for New Zealand ten dollars. Now obviously out of circulation and quite collectible. 8. Red top, green top, silver top and juice. Don’t forget to put out your empties, and the right tokens. 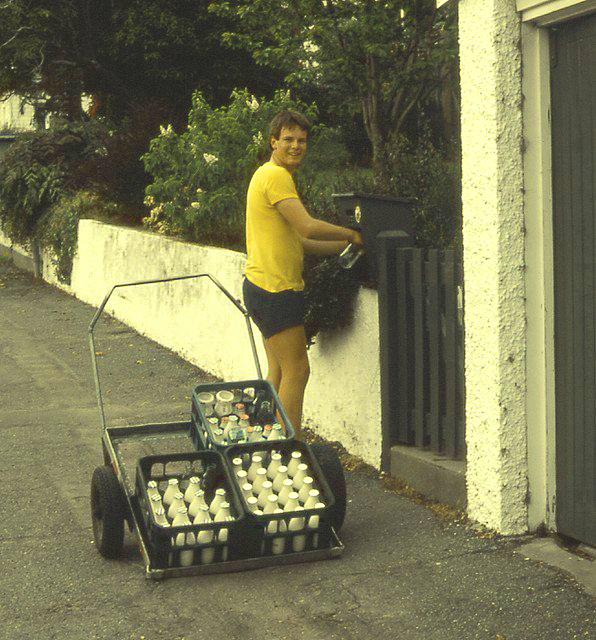 The days of milk home deliveries, long-lost to deregulation – something people have a romantic yearning for as it’s just one of a few milk and milk-related entries in this list. 9. 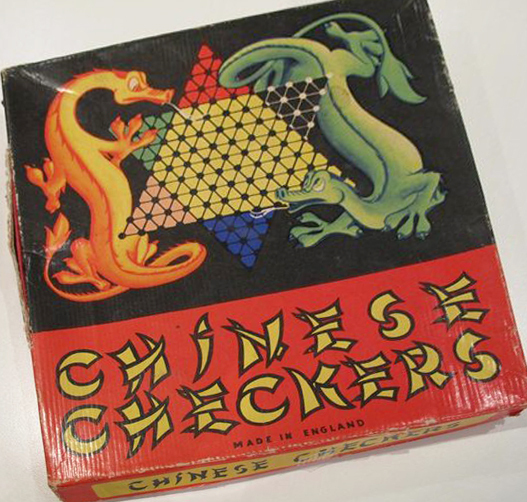 The classic game of Chinese Checkers was found in the homes of most, although in my more recent day it looked a little bit different. I guess this one dates from the 1950s. 10. 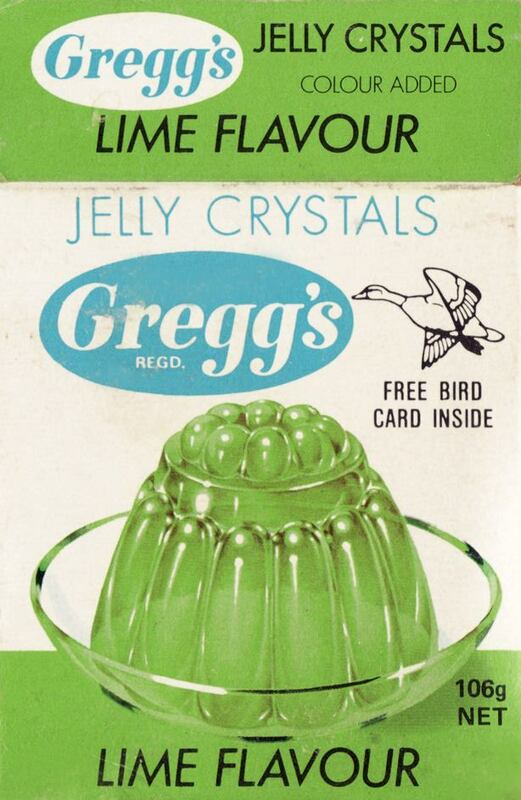 Gregg’s jellies were around from the 1920s, rivaling Edmonds “Sure To Set” line, as well as about two hundred other brands over the decades. But it held its own in the marketplace and is still going strong today. 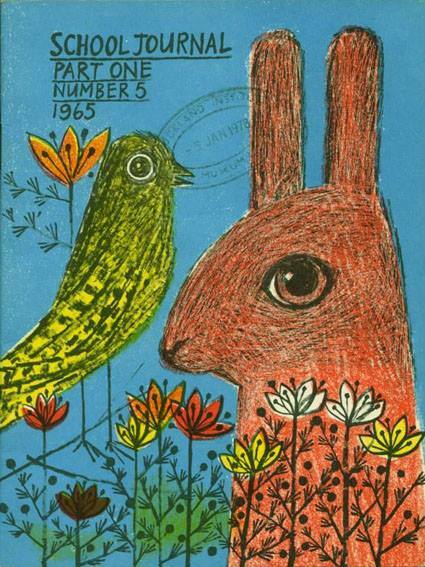 Through the 1960s to the 1980s and beyond they issued albums to collect cards – and birds were a trademark theme of the brand. This one dates from around 1981. Image courtesy of Steve Williams collection. 11. 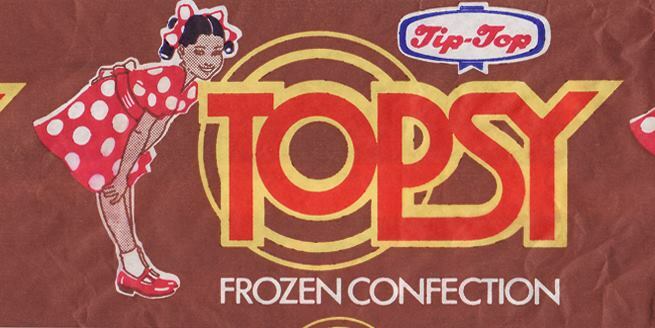 Tip-Top’s classic Topsy is purported to be the company’s first novelty, named after one of the founder’s treasured pet cows. This is possible, however Choc Bombs and Eskimo Pies made their appearance in the same decade. This resonates with me because I definitely remember this wrapper well and it didn’t change much for quite a while. Image courtesy of Steve Williams collection. 12. Whenever I post pictures of blankets and labels they always rate highly. 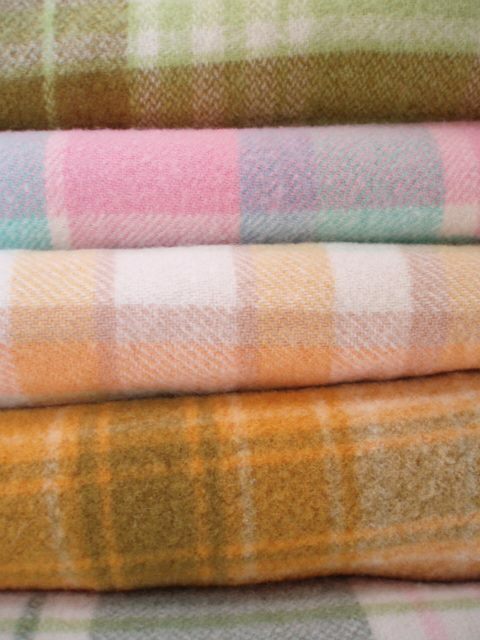 We have three blanket-related entries in this top fifty. These are now quite desirable, second hand and bidding at auction can be surprisingly competitive. 13. 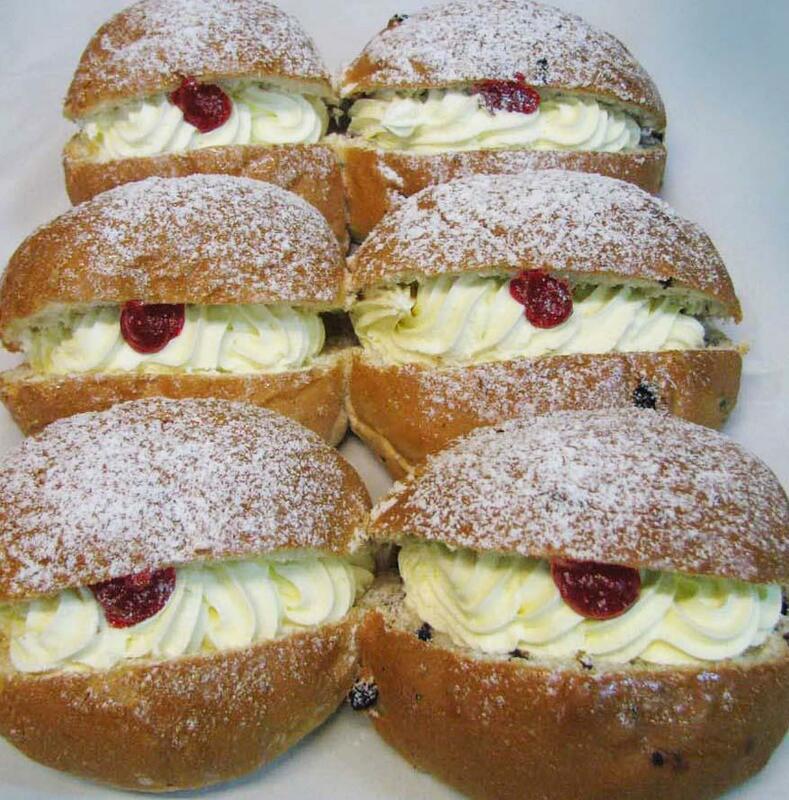 The classic Kiwi cream doughnut – very different to the American donut – must be filled with cream, a small dollop of raspberry jam, and a dusting of sweet icing sugar over the top to be the real deal. 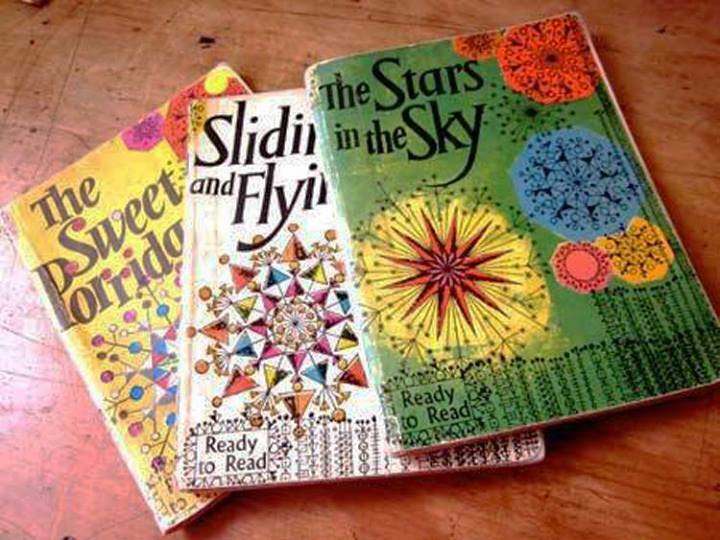 We usually got these at the corner dairy along with a Zap flavoured milk for a Sunday morning treat. These ones seem to have currants in them which isn’t how, I think most people, consider a genuine one. 14. 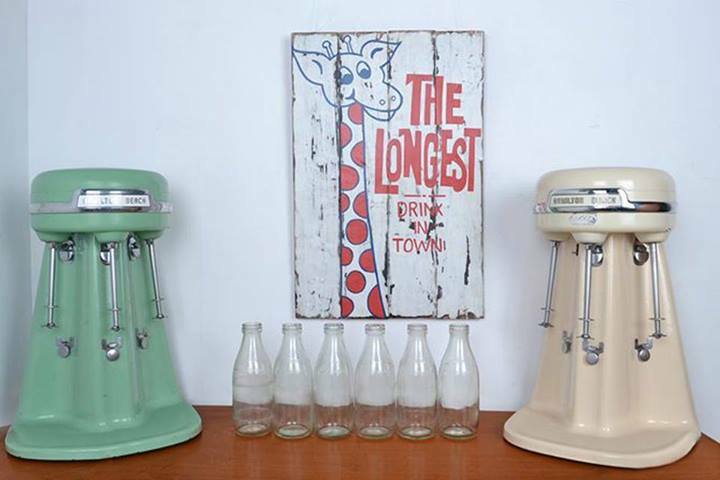 All the ingredients from the milk bar or dairy of yesteryear that you need to make a refreshing and frothy milkshake. It makes me want a cold spearmint one from Uncle’s right now! 15. The prize for earliest instant milk puddings probably goes to W. F. Tucker’s brand “Sunshine” in the 1910s. 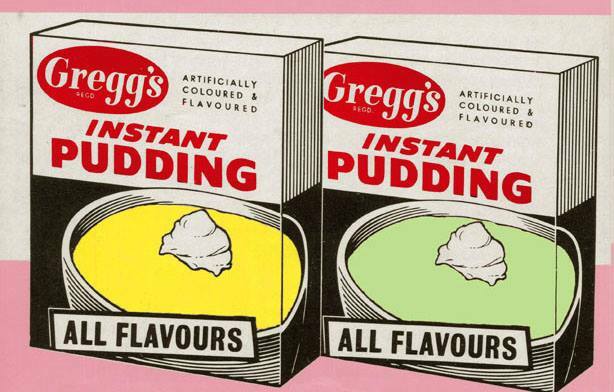 It took Gregg’s a good twenty years after that to get their version on the shelves. 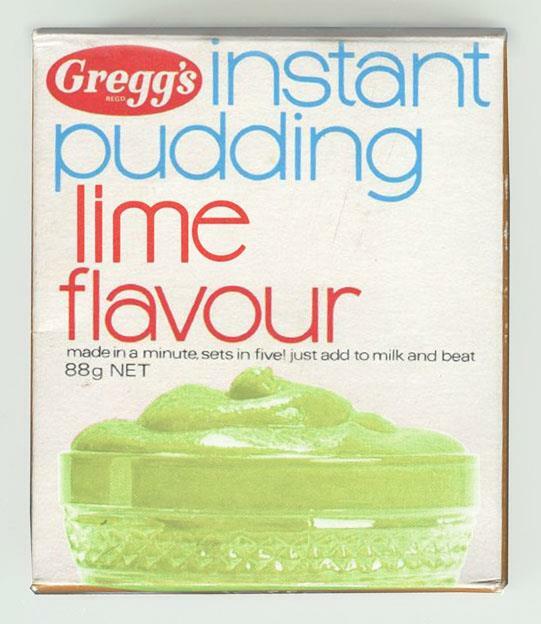 However, Gregg’s instant pudding is still around today, and Sunshine is long gone! These boxes from a 1972 advert. 16. This is one of the “go figure” entries that I guess really appealed to people. I have to admit, it’s one of my very favourites too. 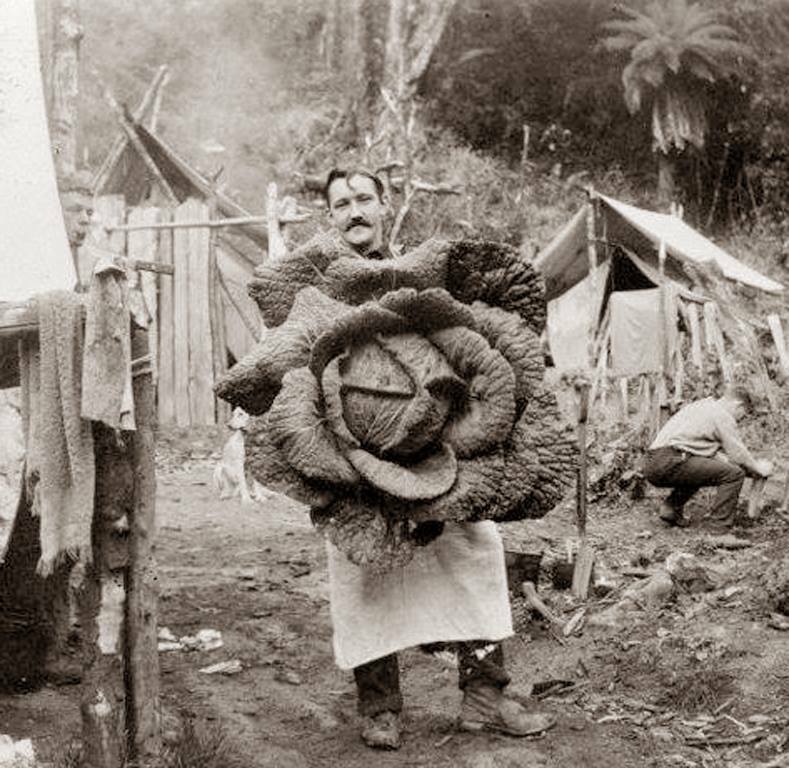 “The camp, the cook and the cabbage, Wairarapa”. Image courtesy of the Alexander Turnbull Library Manuscripts and Pictorial collection, Ref 1/2-022483-F .
17. The most popular item before and on Guy Fawkes night, was traditionally these crackers, which were available for a few cents at local dairies (milk bars). The meaner kids would throw them at others to frighten them after school. Image courtesy of Owain Morris collection. 18. 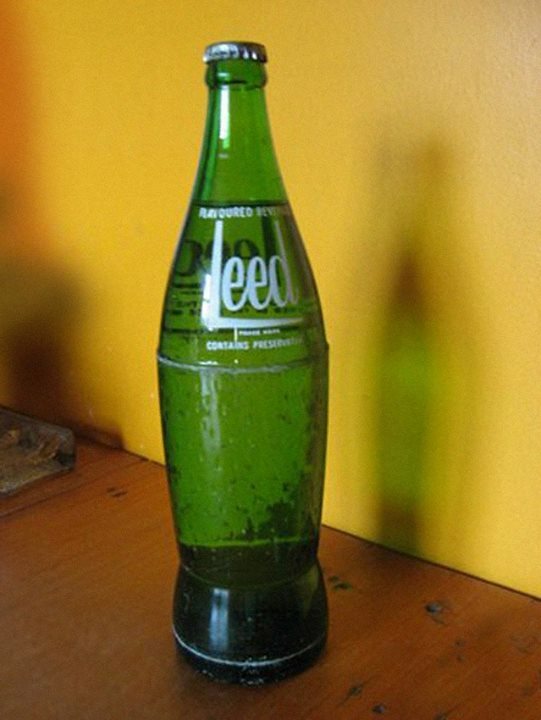 Testament to its popularity, Leed, by the Coca-Cola Co., appears in this list twice. Ironically their namesake drink didn’t even rank in the top 100 – but Fanta – also by this company – does as well. 19. Appearing twice in this top fifty list means the humble pud from Gregg’s is something held dear by Kiwis. Personally I don’t get it. This range from the late 1970s, which by this time had ten flavours. I remember the orange one was particularly horrid. And I don’t much like the look of this one either. Oh well, no accounting for taste. 20. More lurid patterns stick out for me than soft, tasteful Martha Stewart-type pastels as pictured here. 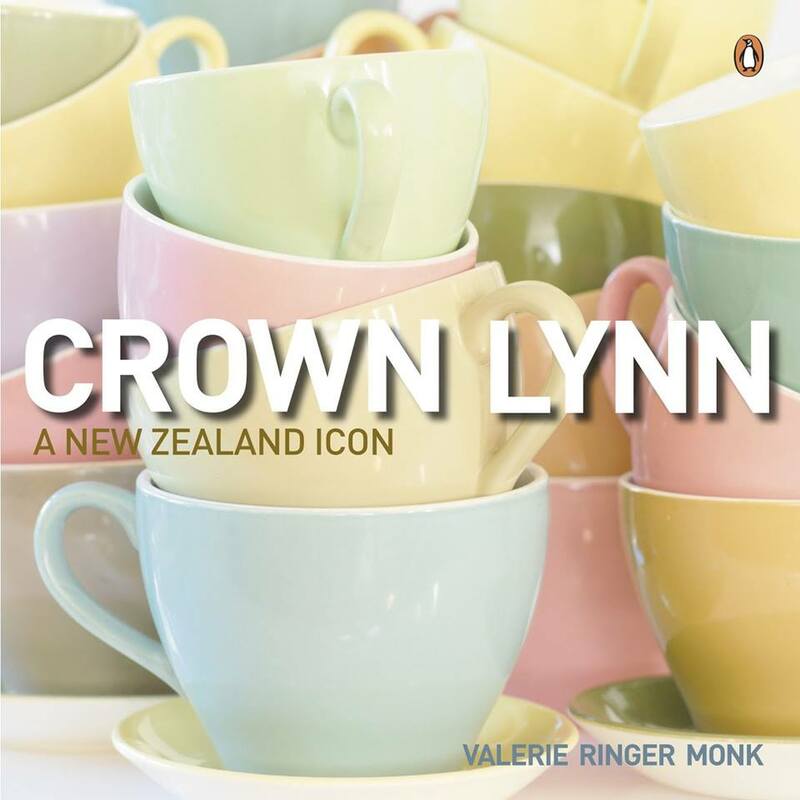 Crown Lynn has come a long way since Rice Owen Clark wrapped logs in clay and burned them to fire his own pipes in Hobsonville, Auckland way back in the 1850s, then started filling orders for neighbours who liked what they saw. The rest is history. Image courtesy of Valerie Monk and Penguin Books. 22. 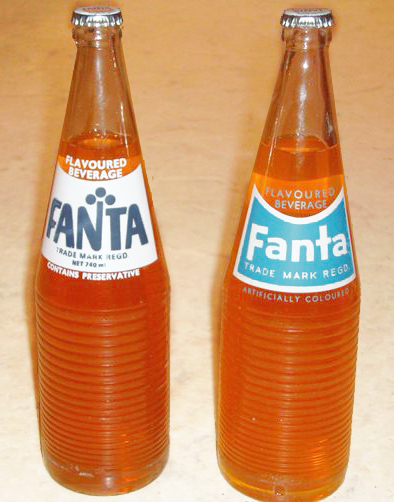 Full, unopened Fanta bottles of the 1970s. Maybe people wouldn’t be so keen on it if they knew it had literally been invented for the Nazis by Coca-Cola. Don’t believe me? Look it up. 23. This picture was taken in 1980-1981 for a promotional postcard as reader Wendy Snookes (Tisdall) remembers posing for it; that’s her in the yellow dress on the left. 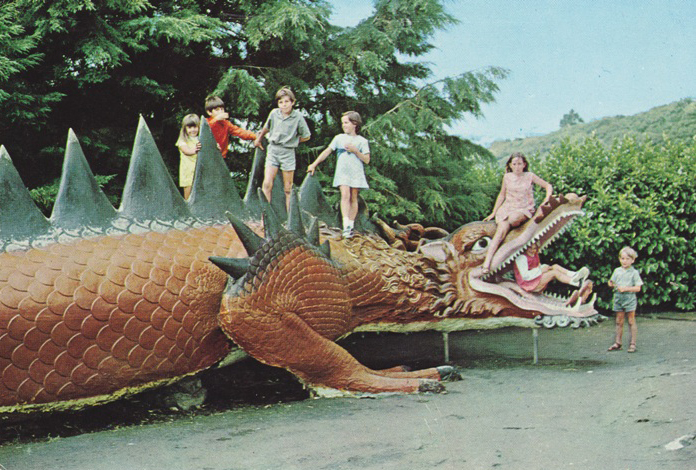 The Auckland Zoo’s big concrete dragon has been around since I was little, and who knows how long before that. There’s a photo of me somewhere sitting on one of the toadstools they used to have nearby, in an orange, green and purple crochet jumpsuit. You can’t get more Seventies than that. 24. 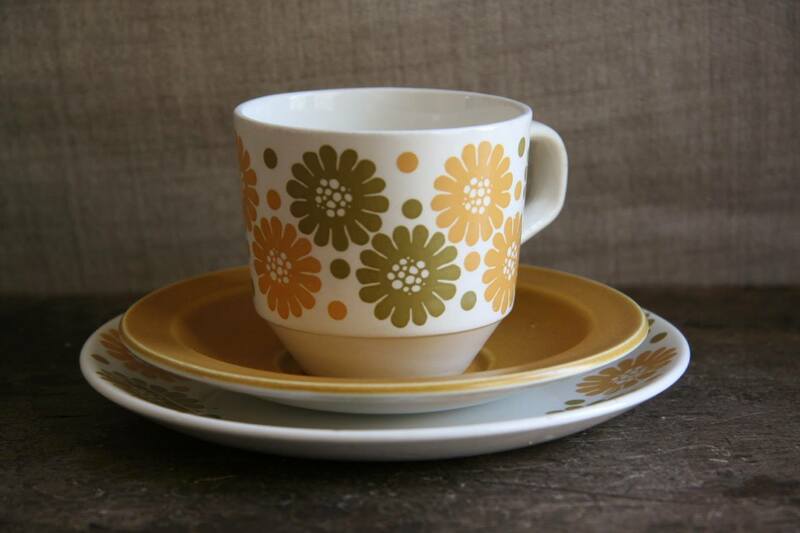 This Kelston Potteries (a subsidiary of Crown Lynn, this makes it the second entry) Daisy design teacup and plate, with an Alfred Meakin “Mustard” design saucer dates from the late 1960s to early 1970s. 25. 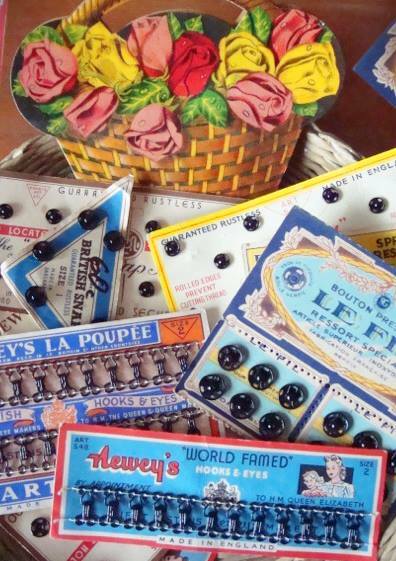 Stuffed with Tui rick-rack, Sylko or Dewey wood reels, Dorcas pins, and random beads, hat pins and ribbons – the classic contents of a sewing kit or drawer, often stashed in one of those old wood and cast iron Singer sewing machine stands, is always a big hit with my readers. Image courtesy of and © Bronwyn Lloyd at Mosehouse Studio. 26. 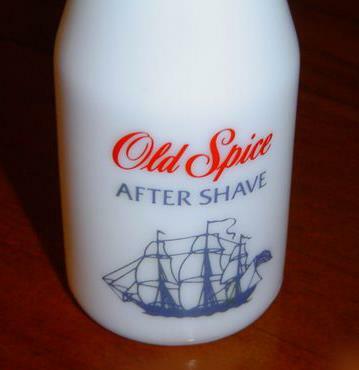 Old Spice by Shulton Ltd appeared on the market as an aftershave in the Sixties – and by the 1970s the range had extended to Original, Lime and Burley each with shaving sticks and several types of deodorants. I remember my father wearing this when I was a child and his whole morning “ritual” with the aftershave, cuff-links and knotting the tie – so I can understand why it brings back fond memories for so many. It pretty much had the market locked up for a long time but I think it lost it’s monopolyin the 1980s with the advent of designer fragrances flooding the market fell out of favour. 27. 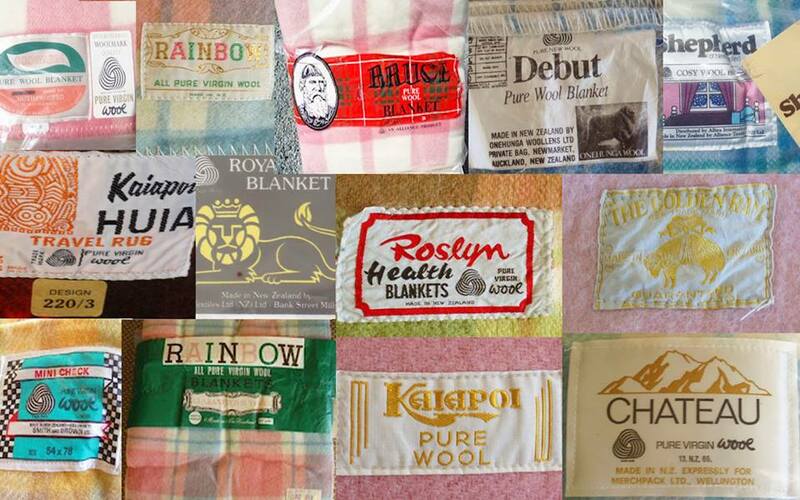 Our second blanket entry is a collage of labels from various brands. I guess they bring back comforting memories for people in a number of ways – cosy winter nights, drowsily listening to parents talk, in another room, the sound of late night TV shows in the distance, sleepovers, visiting relatives, holidays, and other special occasions. It’s no surprise they resonate so much. 29. 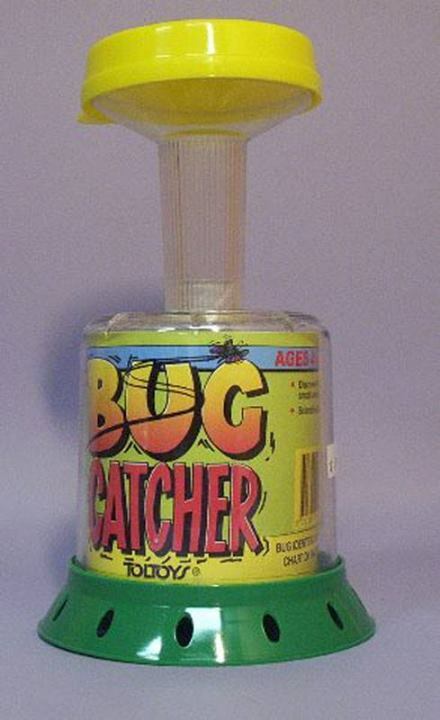 Along with other popular toys, just about everyone had one of these bug catchers in the 1970s. The dying days of manual fun. Not long after this small hand-held consoles like Donkey Kong were the rage and it was imperative to have one. That was the beginning of the end as toys entered the digital age, and imagination started to atrophy. 31. 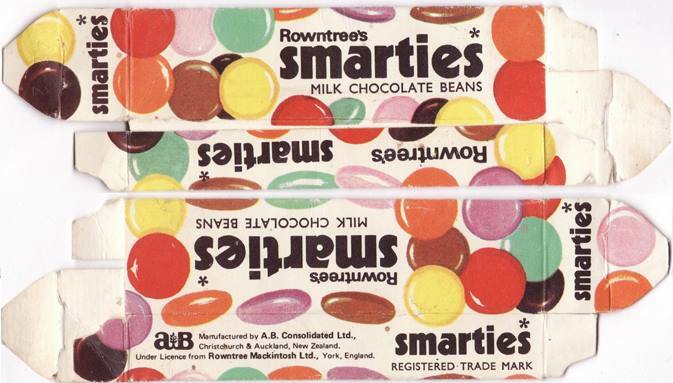 Rowntree’s Smarties box, mid 1970s. Rowntree’s products were produced under licence first by Mackintosh Caley Phoenix (MCP) whose Dunedin factory as acquired along with the Bycroft business in 1961 and became known as AB Consolidated -until it wound down in the late Seventies, and reverted to Aulsebrook’s. Image courtesy of Steve Williams collection. 32. 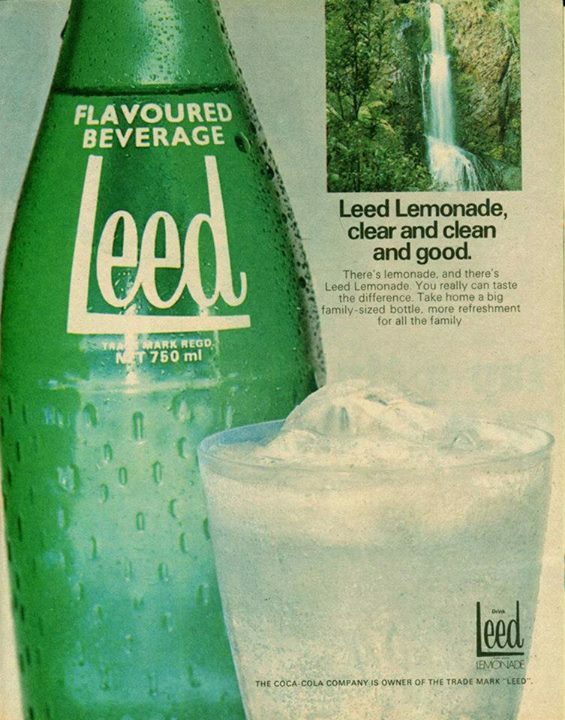 Leed, a softly lemon-flavoured fizzy drink that arrived on the scene in the 1970s to great success, and was phased out in 1984 to be replaced by the more American-style Sprite. The second entry in this top fifty list for this drink, that has proven to be very popular even in retrospect – and is still pined over to this day. 33. The classic line-up from the New Zealand kitchen cupboard for baking: Cadbury’s Bournville cocoa powder, golden syrup from CSR, cake cups from Jaytee, and good old Edmonds “Sure To Rise” baking powder which has been around since 1879 and is still one of the few most successful brands today (although the range is now in the dozens of products). 34. Cuesenaire rods were invented in the early 1950s in Belgium – it’s not a Kiwi creation. 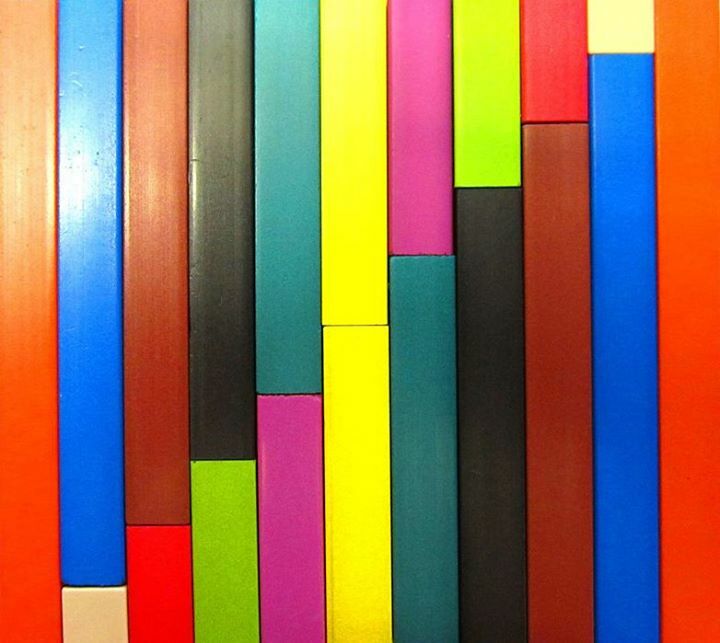 They were meant to help educate in matters of elementary maths using different lengths and colours from one centimetre (white) to ten (orange). 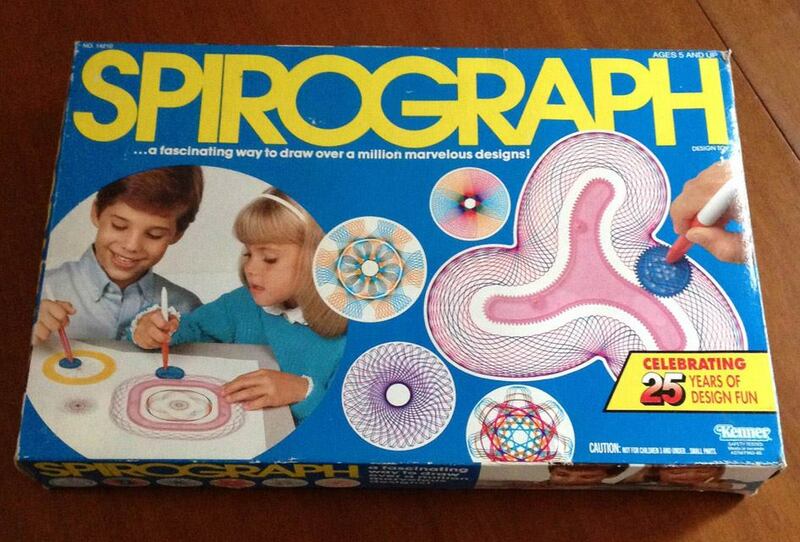 Fun to play with, but the plastic material they were made from had a really nasty smell I recall. Kind of like crayons, rotten oranges and shoe polish. Gag! 35. 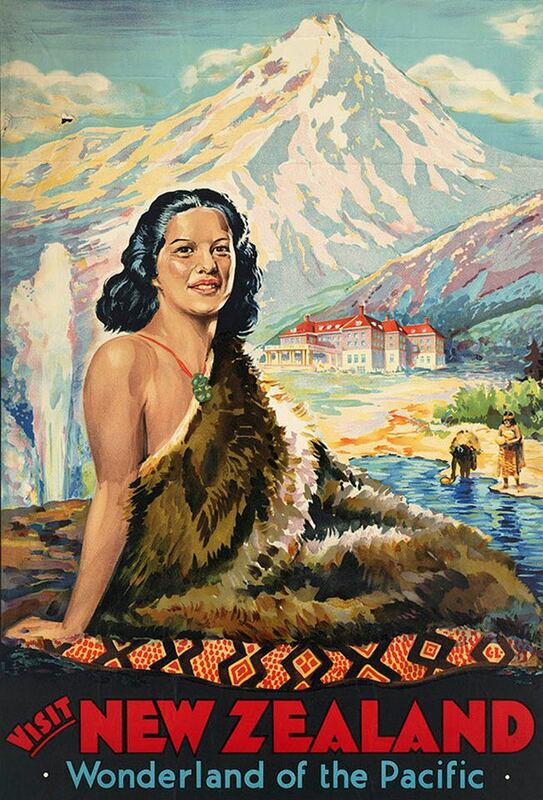 A lovely Maori maiden features in this travel Poster, circa 1930s, by Carl Thorwald Laugesen, probably done for the New Zealand Government Tourist Office. This is what I was talking about, when I’ve come to understand what people want. To me this is predictable. It’s a nice piece, and as exemplified in it’s ranking it has popular appeal, but generally I try to stay away from showcasing this stuff as I feel it’s territory that has been well and truly gone over a number of times by others. To the detriment of other areas of New Zealand design which have in my opinion been neglected. 36. 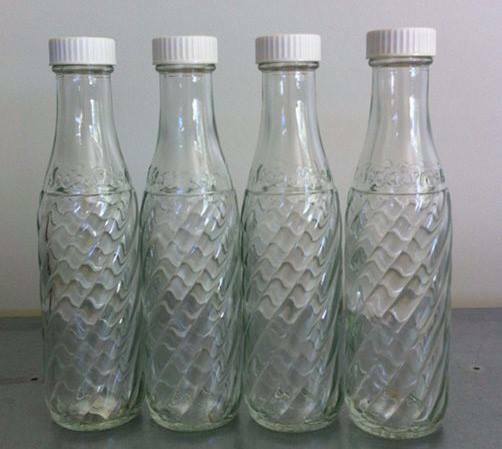 SodaStream bottles from a plastic machine that made soft drinks at home. The carbonated bullets and syrups came separately, and no water filters back then – it was filled up straight from the taps. We used to sip the highly sugary cordial straight out of the bottles, which when I think of now is disgusting. Actually, it was disgusting, then, too! 37. 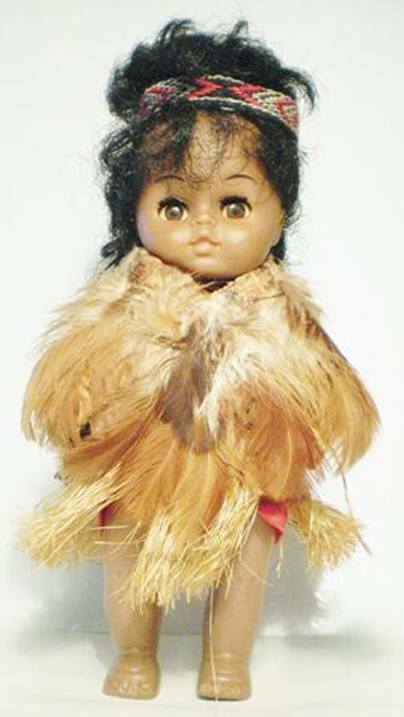 There were a variety of these souvenir Maori dolls over the years, all slightly differing and often seen in glass china cabinets along with other tacky but sentimental knick-knacks. Now often seen in junk shops and garage sales instead, they still have sentimental appeal but just not in today’s home, apparently. 38. 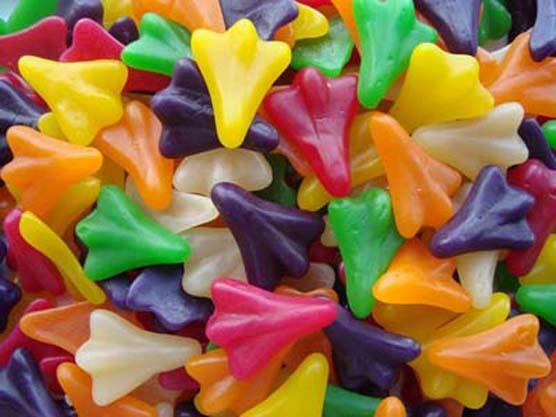 Jet Planes were popularised by Griffin’s, but soon became generic in those little glass dairy compartments along with cent lollies, wine gums and pineapple lumps. 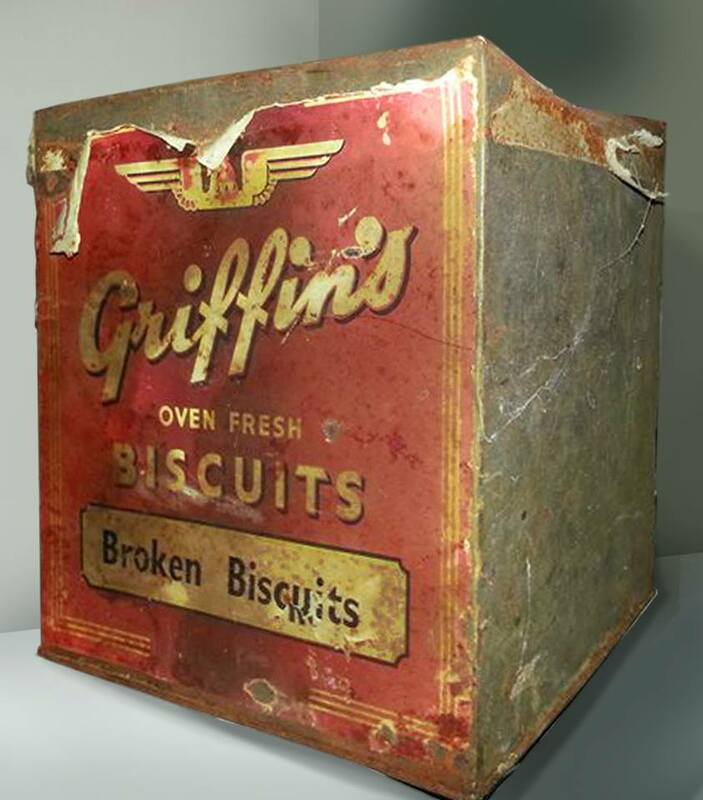 Griffin’s was established in the 1880s with biscuits, and in 1885 started offering confectionery. It survived several ownership changes through the Nineties and Noughties and is still going strong today. 39. 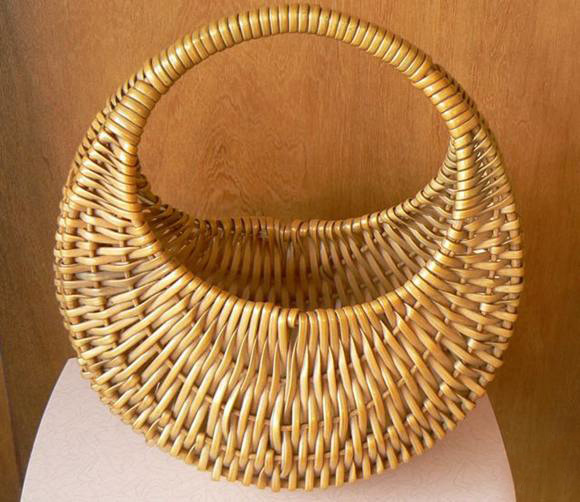 “Banana Baskets” were around in the 1950s-1960s, useful to hold a variety of goods for those smaller trips to the corner store, when something like this would suffice. In time they just weren’t in any way big enough to cope with the volume of goods bought for consumption from those new-fangled supermarkets – and were pretty much retired by the 1970s. I think a lot of them ended up as wool baskets. Or hanging in the garage with trowels and seeds in them. 40. 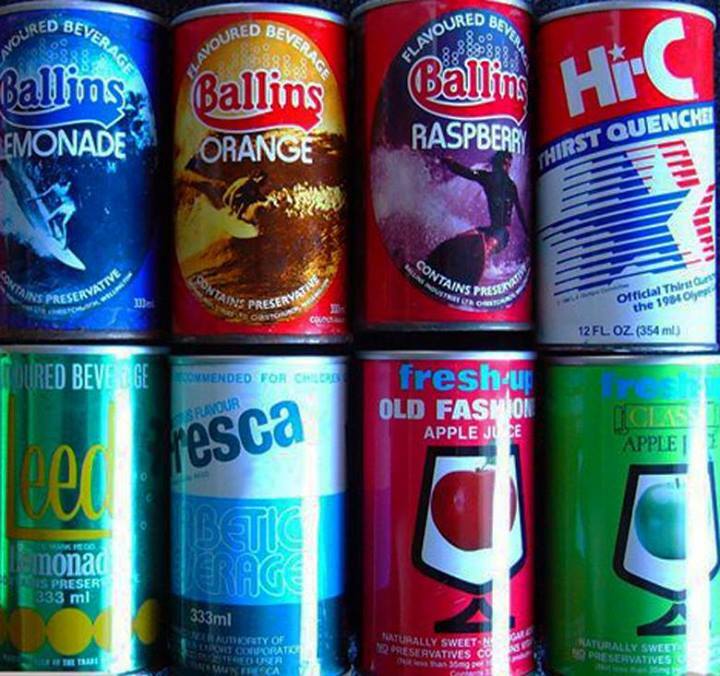 A variety of late 1970s steel cans – Long-running Ballins (established in Auckland prior to 1876, no matter what the official company history says about Christchurch). Like American imports such as Tab, Fresca was one of the early, popular diet drinks that was introduced onto the New Zealand market. Leed we have covered, and Fresh-Up was still a small range of three or four varieties at this time but exploded into quite a large line by the mid 1980s. Hi-C juice, I don’t think lasted very long. 41. 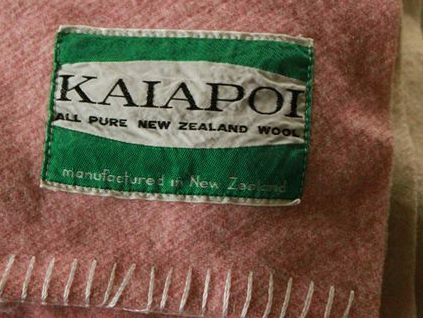 The classic Kaiapoi blanket’s label. Think of all the hours you spent examining them as you tried to fall asleep, or waited for everyone else to wake up. They are pretty much ingrained in all of our memories indelibly. 42. 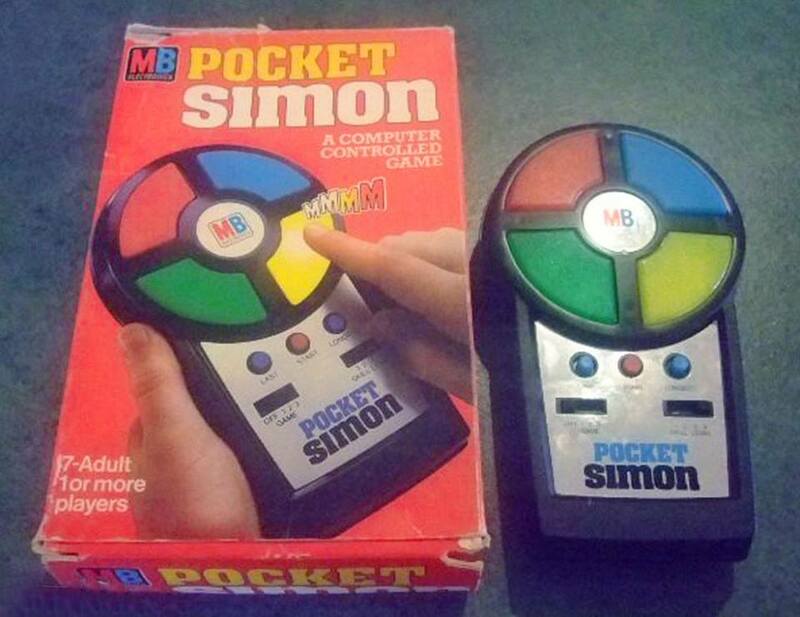 Simon Says was a futuristic (well, it was then) electronic game that was heavily advertised on the box. It was extremely popular for a short time with it’s disco dance floor slash Buck Rogers inspired light-up panels, honks and bleeps. They now sell for a lot in working order. This is an even rarer pocket version. It sold on Trade Me for two or three hundred dollars. 43. 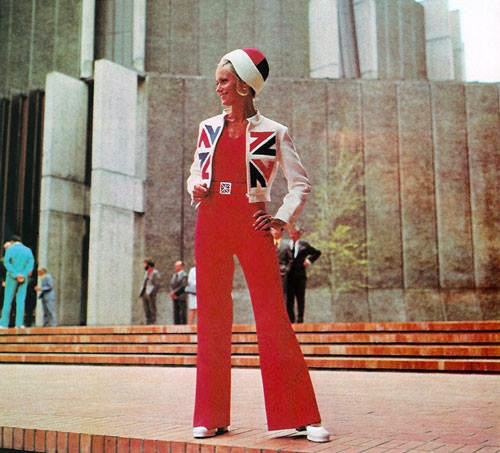 New Zealand’s snazzy uniform for the Commonwealth Games held in our country in 1974. I think they got high jump confused with high pants. 44. 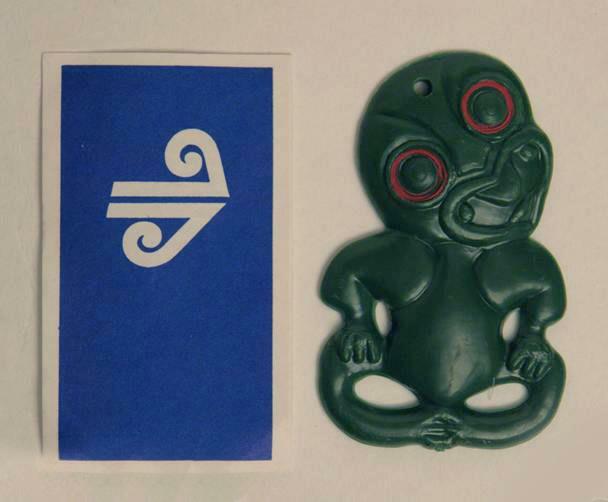 Ah, the complimentary plastic tiki once gifted to every passenger from Air New Zealand. 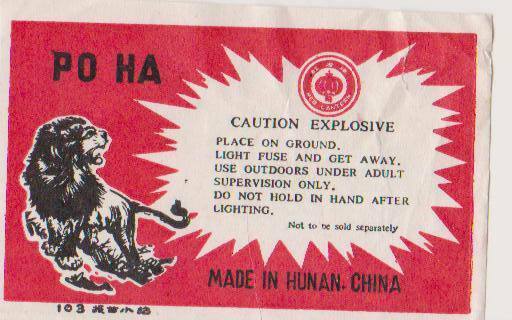 Once fairly common, these are now kind of collectible. I think this one is from the 1970s. 45. Was ALF really that popular? For those that don’t know, it was a TV series that ran until from 1986-1990 about an extraterrestrial creature that crash-lands from space into a suburban family’s garage. This was a period when Tip-Top were releasing fairly sophisticated licensed novelties like Pink Panther and Mickey Mouse, amongst some. Image courtesy of Steve Williams collection. 46. 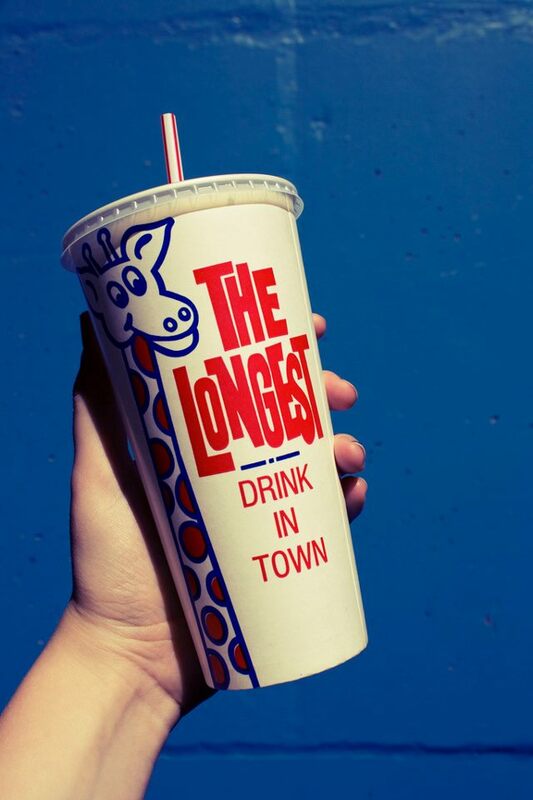 Once handed to you at every takeaway across the land – there has been a retro revival of this ubiquitous milkshake cup design of the 1970s-1980s recently – thanks to renewed recognition of it’s cool and unique design. It can now be found on everything from tee shirts to plastic tumbler sets and cushions (and back in a lot of takeaways of course). Image courtesy of and © Lucinda McConnon on Flickr. 47. 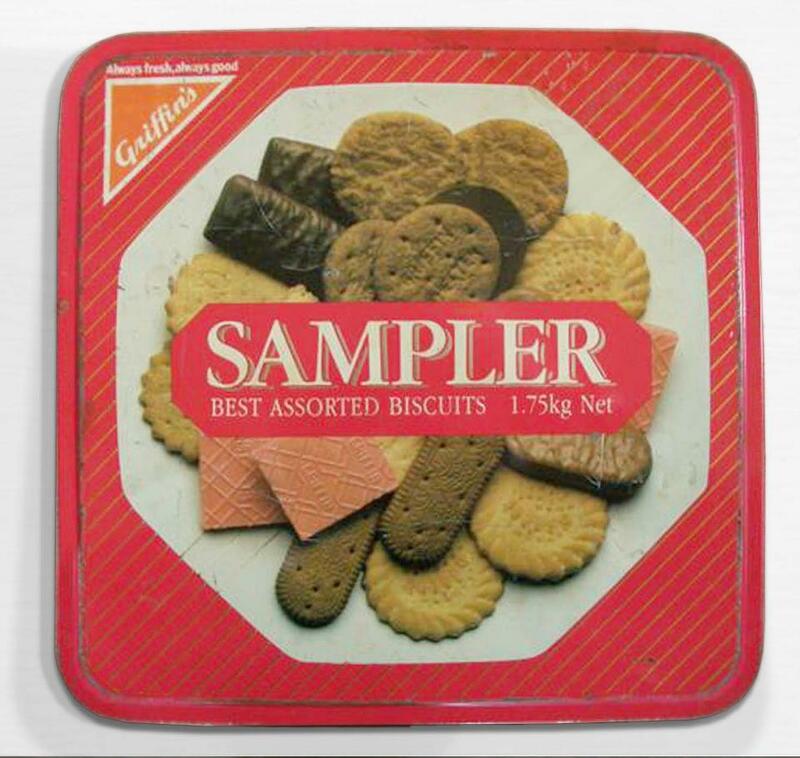 Griffin’s biscuit samplers – ubiquitous at Christmas with their pink iced wafers and Cameo Cremes through the 1970s and 1980s. This brand has remained one of the most successful in the country for more than 130 years for their biscuits and also classic confectioneries such as Deck, Minties, Sparkles, Pebbles and Snifters among some (none of which, amazingly, made it onto the list…and Jaffas just missed out). This tin from the mid-late Eighties. 48. 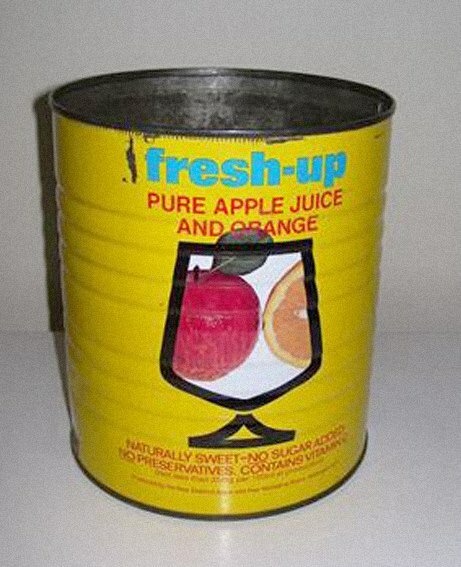 A bulk size Fresh-Up can of the late 1970s. The drink was introduced in 1961 by the Apple and Pear Marketing board in two varieties of juice to immediate success and remained a popular brand over the decades, branching out into canned fruit, pulps, and pie fillings. 49. 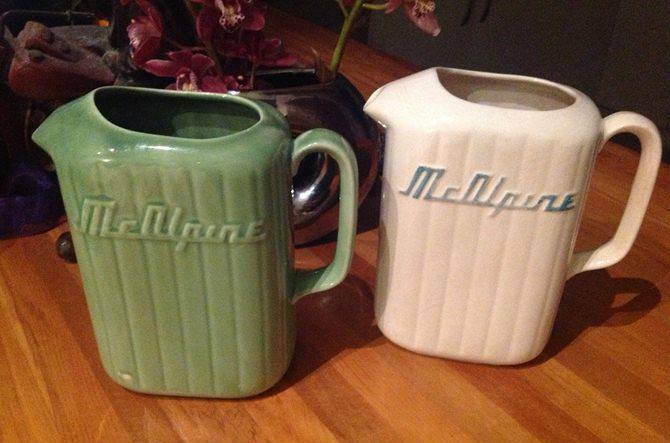 The classic McAlpine jug which was a promotional giveaway in the 1950s with refrigerators of the same name. Now highly collectible, they can sell into the hundreds depending on colour, like this rarer green example. I think the popularity of this image had more to do with the subtitle I gave it – ” showing you my lovely pair of jugs”. 50. 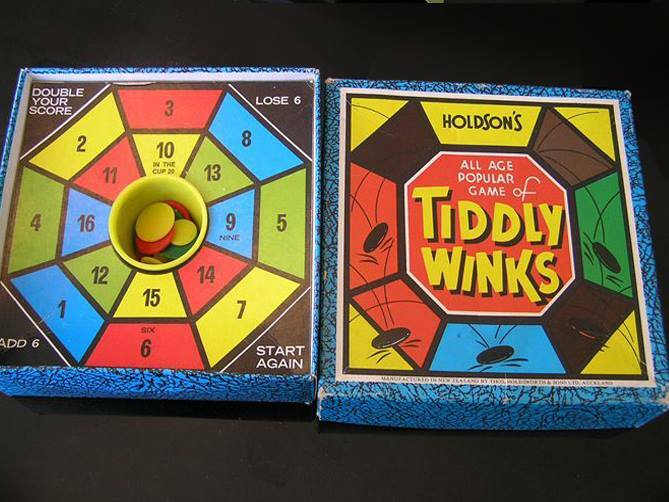 And finally, the classic Tiddly Winks from Holden – an entertainment staple of every games cupboard at the batch or for rainy days.